Christine M. McCarthy is treasurer and executive vice president of Corporate Finance and Real Estate of The Walt Disney Company. 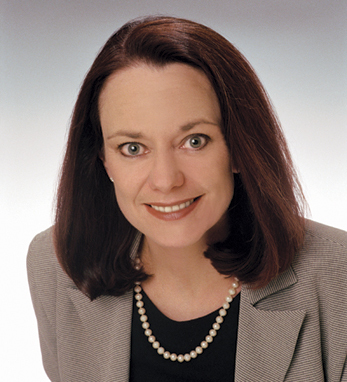 Prior to joining Disney, Christine was the executive vice president and chief financial officer of Imperial Bancorp from 1997 to 1999 and an EVP at First Interstate until it was acquired by Wells Fargo in 1996. Christine is currently on the board and finance committee of FM Global. She serves on the board of trustees for the Westridge School in Pasadena and is a mentor for the National Math and Science Initiative’s STEM program. Treasury & Risk named her one of the 100 Most Influential People in Finance in 2003 and 2011. Christine was a board member of the Los Angeles Philharmonic Association from 1998 to 2001. A third generation Irish American, Christine was born in Winthrop, MA. She completed her bachelor’s degree in biology at Smith College, later earning an MBA from The Anderson School at UCLA. She and her husband, Michael McCormick, live in California with their two children.